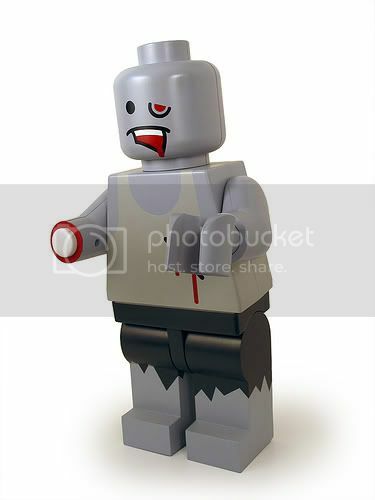 I want- no, I NEED that lego figure! Eat 'em Zebra!! Eat the zombie!! I take back what I said about 9 puppies. Turns out, there are 11, and soon you will be able to view them on my blog. Nuttz: Rarrgh rarrgh, I AM a zombie. Chloefoxx: Rarrrrrr, two extra puppies? Yum eleven puppy brains! Would that be zombies? Is it too late to save Warren?